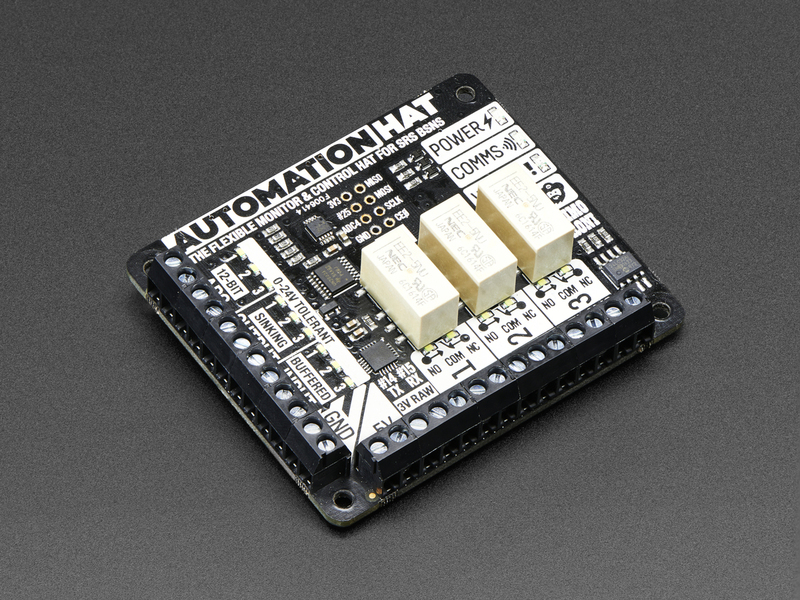 Do you need a solution for home automation, hydroponics, light industrial automation, and other related predicaments? 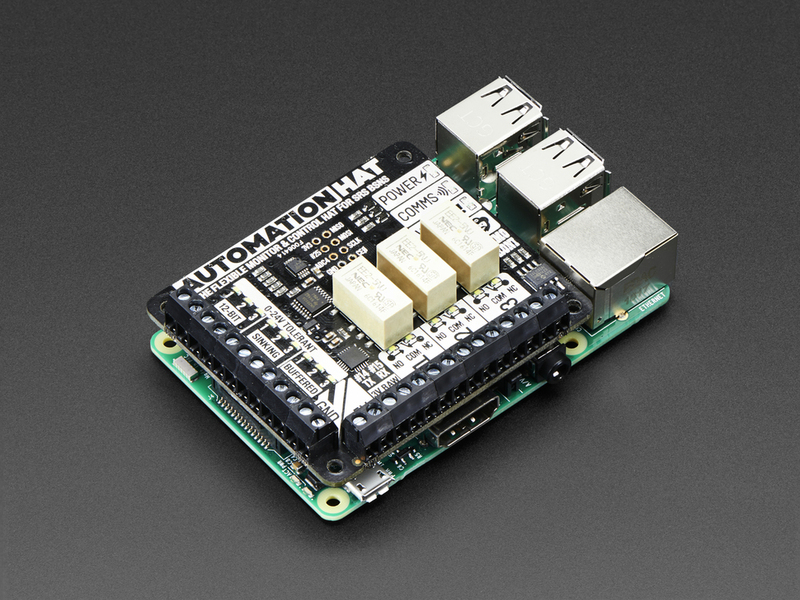 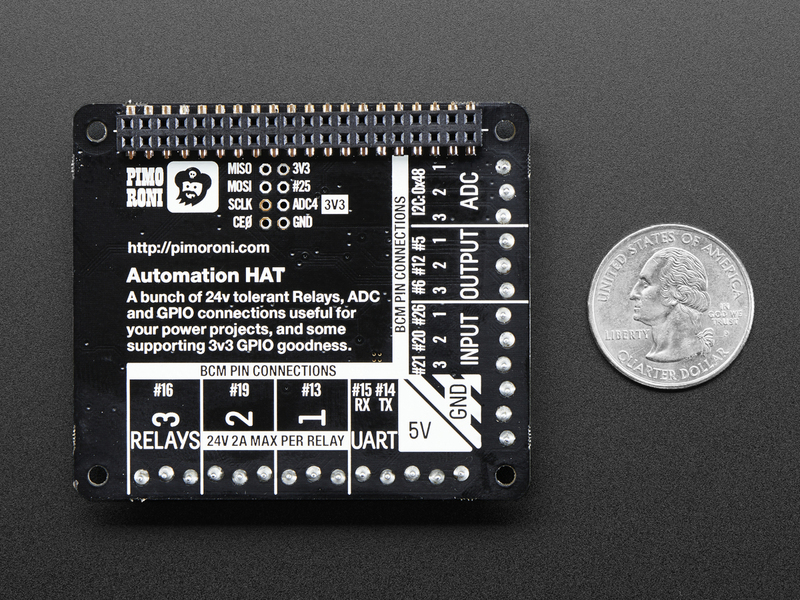 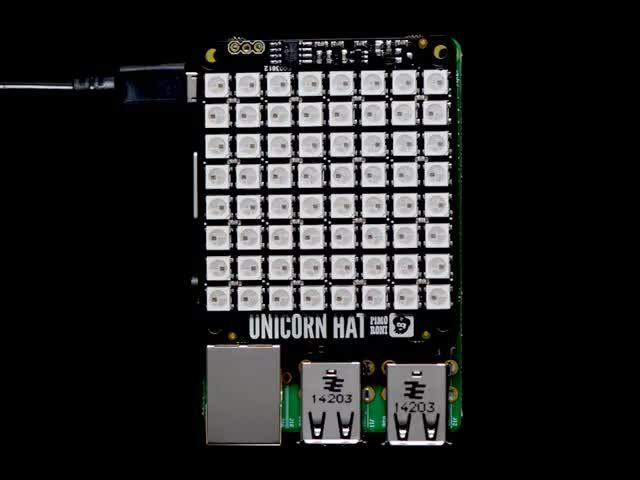 Take control of and monitor your world with Pimoroni's Automation HAT -- an ultimate jack-of-all-trades Raspberry Pi HAT! 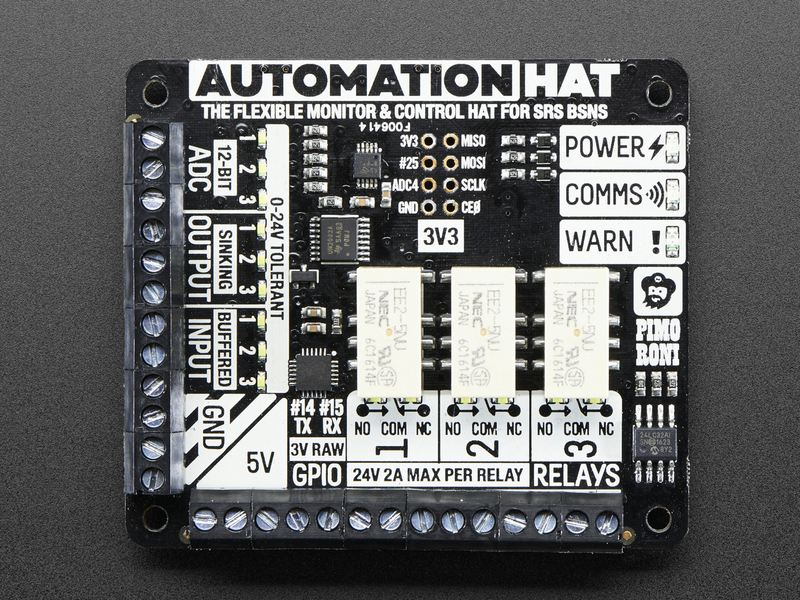 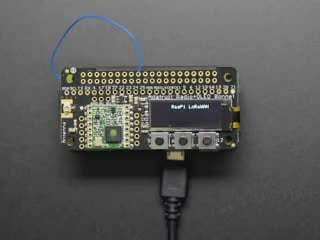 With relays, analog channels, powered outputs, and buffered inputs (all 24V tolerant), this home monitoring and automation controller allows you to hook up a plethora of goodies to your Raspberry Pi all at once. 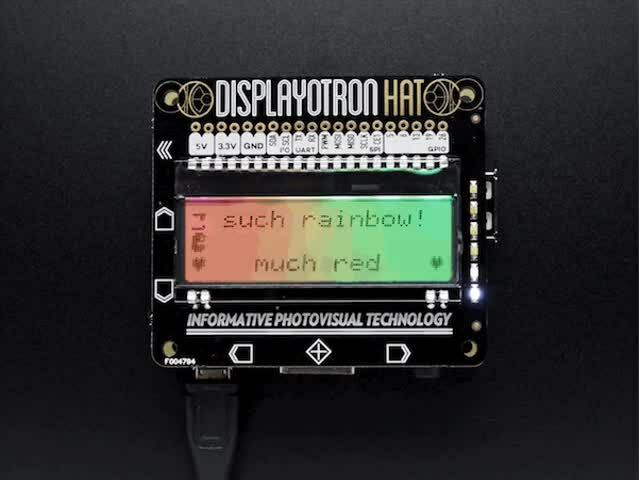 Better still, each channel has an indicator LED which means you can see what's happening with your setup at a glance. 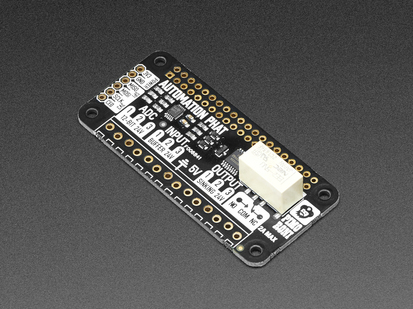 Even the analog channels have dimming LEDs that allow you to see the value they are currently sensing. 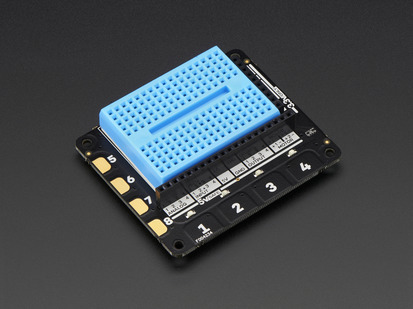 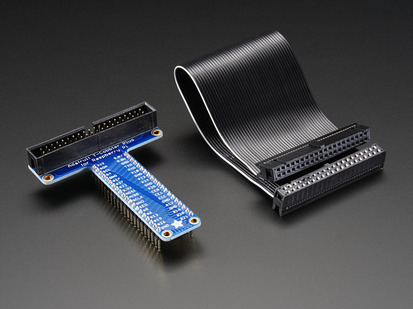 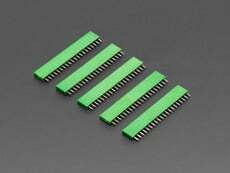 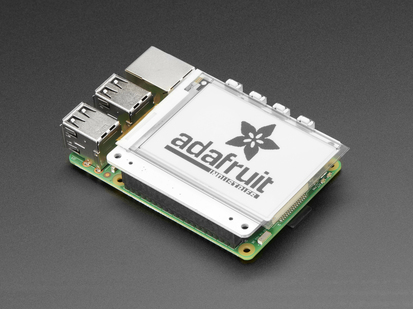 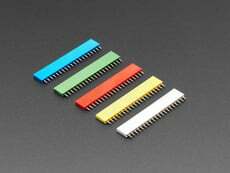 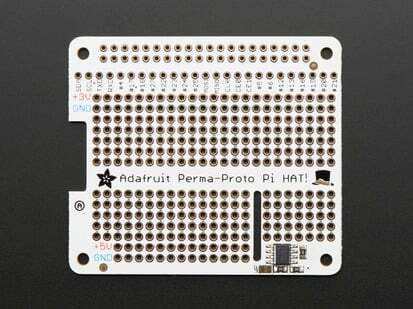 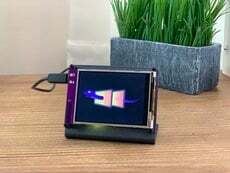 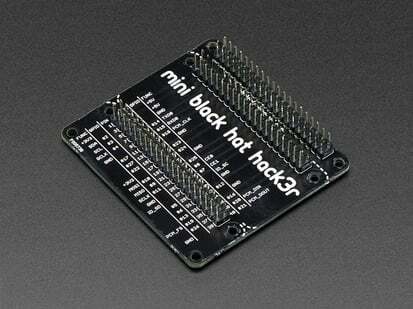 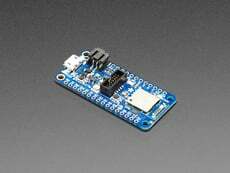 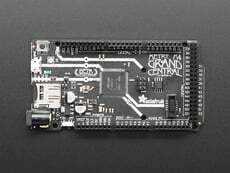 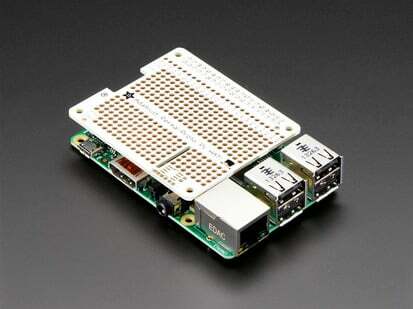 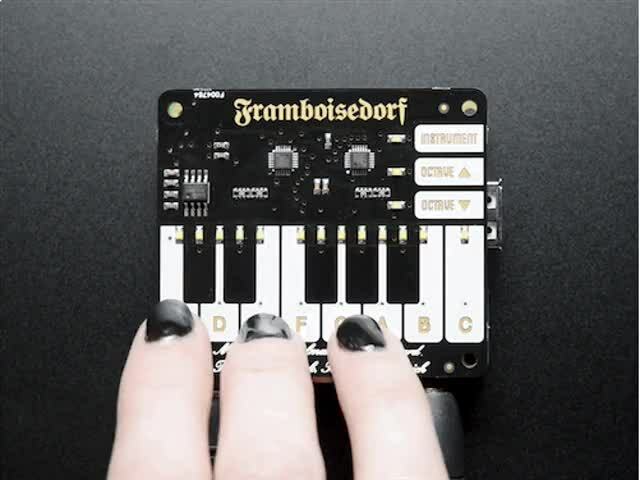 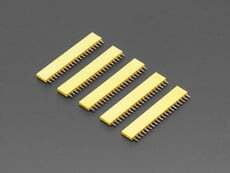 Compatible with all versions of Raspberry Pi that have the 40-pin GPIO header (3, 2, B+, A+, Zero), and comes fully assembled! Please note: We recommend you use a set of Brass M2.5 Standoffs with the Automation HAT to avoid pins contacting the HDMI port if the HAT is pushed down. 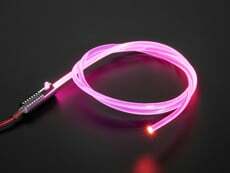 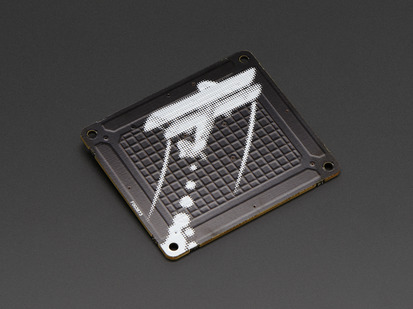 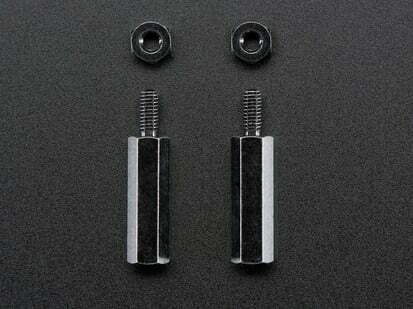 Product Dimensions: 65.0mm x 55.0mm x 17.5mm / 2.6" x 2.2" x 0.7"